NEOPIAN BORDER - A new trend in Neopia is the creation of Limited Edition pets. 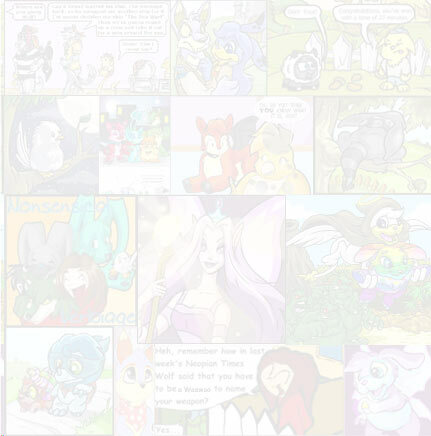 If you'll notice, however, one or two more have slipped through than the number the Neopets staff wanted to release. At the time of this writing 4,012 (out of 4,000) Ixi have made it through. The Draik has been seen to have 2,003 (out of 2,000) released and the Poogle has 330,001 (out of 330,000). So, how is this happening? Are the immigration laws not tight enough? Need more security at the borders of Neopia? Going on a search I decided to try to find some of the owners of these "negligent" pets who have managed to bypass Neopian security and slip into our country unnoticed. After checking a lot of the seedier (and scarier) places of Neopia, I came up with zilch. I finally came home to do some research. First of all, this did not used to be a trend. If you look at the number of limited edition pets who were released awhile back, like the Jetsam, you'll notice that the two numbers are happily the same. How could that be? Could it be the land of origin? At first this seemed like a really great idea based on how often this occurred in Draiks and Ixis. There is rarely a time when the two numbers DO line up. However, I could find no real correlation between Poogles, from the North, Tonu, from Tyrannian, and the Draiks and Ixi from Meridell. Back to the old drawing board. Could it be a common occurrence based on the aggressiveness of the species? This was well-supported by the Poogles (with their sharp teeth), the Tonu (who love to charge around and cause havoc), and even the Draik (who appears blowing fire from his mouth). But what of the cute, dainty Ixi? They don't seem vicious or aggressive at all. No, instead they are presented as a sweet woodland creature, happily cavorting about in the woods. Besides, wouldn't there be more of the unfriendly and vicious Jetsam? Therefore species aggressiveness had to be thrown out. Me: What is your species? Me: What number were you? Me: Out of how many? Z: Out of 2,000... isn't that why you're interviewing me? Me: Uhm, yes... How did you get by? Z: I slipped by using my quick instincts, fast wits, and magical capabilities... and I got lucky. Me: Could you go into a little more detail? Z: I could, but then I'd have to kill you. Me: OOkkaayy... moving on. Why did you want to come to Neopia? Z: -and let him ignore me completely! What does he think I am? A pet rock?! Me: So. . are you glad you came? Z: Oh, yeah! Neopia is a real kick! I've been having so much fun! I've already gotten a cool, REAL Neopia petpet, Phishee a Snarhook. Me: What could be improved by Neopia security? Z: What, like I'm going to tell you?! What about all my friends from M-*CLASSIFIED* ?? If these Immigration Laws don't let up, I want them to be able to make it through as well. Do you think I'm selfish? I'm not keeping this to myself! 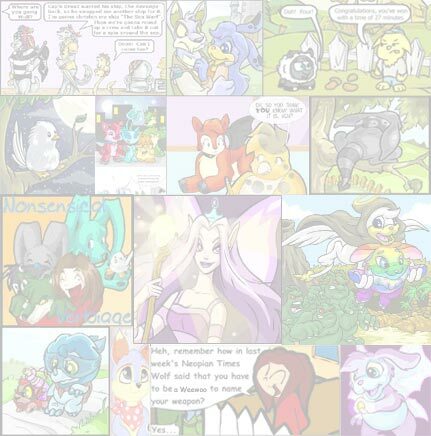 Thanking them for their time, I then proceeded to search all through Neopia for more pets who managed to slip through, but still no one stepped forward. Confused, I went to talk to Zephyr again. Me: Why would the other pets not want to be interviewed? Z: They're probably afraid of being shipped back. At this point I decided I just wasn't going to get anymore useful information. My theory is that while the legal pets are being checked through Immigration, another pet causes a commotion and then there's, basically a stampede. A lot of this is based off of how hyperactive ZephyrWindseed the Draik is and how she probably caused the disturbance for everyone else. Uh-oh! Gotta run! If you have any questions, feel free to Neomail me! At the time of submission, Ixi were no longer Limited Edition (Yeah! ), however, Draiks and Tonus still are. Tonu count was: 25,352 (out of 25,331). Thank you! Tastes like potatoes or scotch eggs? You are completely disgusted, but still want to see how the game works. Yum! Did someone say DELIcacy?